Cooperstown Chamber of Commerce The Cooperstown Chamber of Commerce serves as a model of how chambers of commerce should be run. By being deeply involved with the business community, coordinating community events, and serving as a great travel resource for tourists, the Cooperstown Chamber of Commerce makes for a wonderful central point of contact resource. For more information, visit its Web Site or contact them at (607) 547-9983. 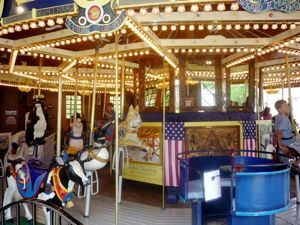 Cooperstown for Kids -- Where parents and kids can plan together the perfect Cooperstown, NY vacation. Cooperstown for Kids Blog -- The official Blog of CooperstownForKids.com. Weddings In Cooperstown Features a complimentary Weddings In Cooperstown Booklet for 2006 with discount coupons and tips for weddings in this area. Also includes upcoming Calendar of Events. Bassett Healthcare Central New York's premier provider of primary, specialty and hospital care. Earth Travel Reviews [Cooperstown, N.Y.] - Reviews on visiting Cooperstown, N.Y., hotels, resorts and attractions. New! Check lodging availability for Cooperstown and browse inns, bed and breakfasts, hotels and motels in the area. Cooperstown is close to some of the most scenic regions of the United States. We highly encourage exploring other areas of upstate New York as part of your Cooperstown vacation. I Love New York -- The official New York State Web Site with perhaps the best presentation of state tourism in the United States -- a must see! Adirondacks.com A fine travel resource focusing on the beautiful upstate New York Adirondack Mountains. VisitFingerLakes.com Excellent information on one of America's true wonders, the stunning Finger Lakes. Catskill Guide A comprehensive guide to the Catskill Mountains, a pleasant region with charming towns and breathtaking mountain scenery. Albany.com - Travel Guide to Albany, New York Information and links to lodging, dining, shopping, skiing, and more! Experience Saratoga NY Use the planning services of the Saratoga Convention Tourism Bureau to bring your next convention, group or event to Saratoga County. Their Website also makes an excellent resource for planning ANY trip to the area! MileByMile.com: Highway Travel Guides Over 500 free highway travel guides, including New York State resources! Many areas of New England make for an easy trip from Cooperstown (Stockbridge, Mass., is only two hours away, for example). Why not add to your Cooperstown vacation by staying in New England as the first or second part of your Cooperstown vacation? VisitingNewEngland.com -- The New England travel site, filled with New England vacation essays, reviews, resources and gift ideas. Enjoy visiting New England! The New England Travel News Blog - The official blog of VisitingNewEngland.com, reporting on the best that New England has to offer -- destinations, events, attractions, dining, lodging and more. Updated frequently, and told from a local journalist's point-of-view -- always with the reader in mind. Boston restaurant guide Find the hidden gems in and around the "Hub of the Universe!" Travel Guide of America -- A U.S. travel guide with information and photos for travelers.